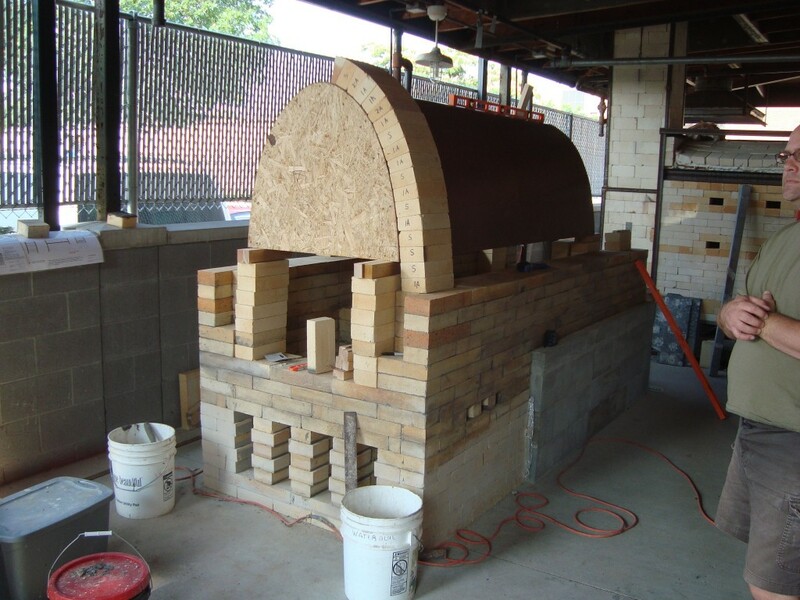 Since the last article, our new urban wood kiln construction project at the University of Louisville has jumped some major hurdles, but continues with the steady and careful work of Todd and a small crew of our students. The day after I posted last time, we built the entire arch and cast the giant keystone all in a single long day. The form was put perfectly in place and the bricks were carefully laid. First, we stacked what we thought would work. 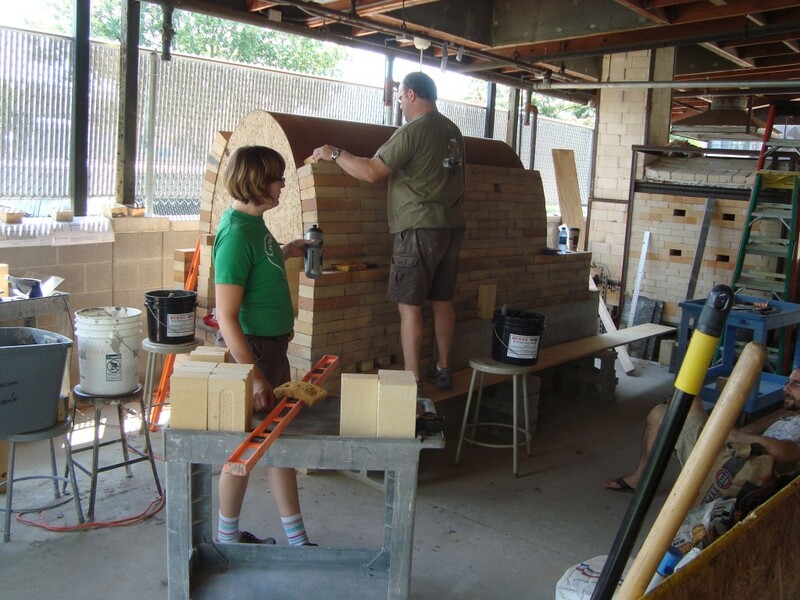 We used combination of “straights” or regular firebricks, “#1 arches” or bricks that are tapered slightly on one side, and #2 arches” bricks with a more sever taper and thinner profile. The combination is methodically tweaked to find the perfect order of bricks, leaving no open slits on the inside or outside. 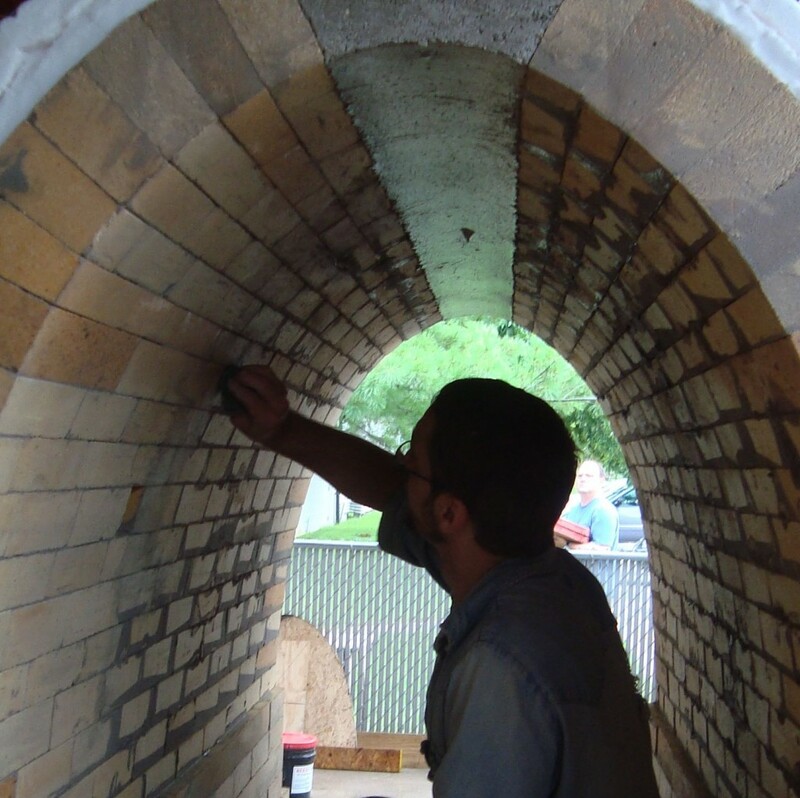 As we worked, we found that the height of the high-temp mortar between the bricks altered the order and types of bricks needed to properly build the arch. Something specific to the Manabigama design, the arch is not quite a parabolic arch, it is an arch that is slightly flattened at the top to accommodate the stacking space needs inside the kiln. Regular catenary or parabolic arches distribute the weight of the bricks naturally to a near-vertical slope. This allows them to stand and support weight without any external support structure. We are a little apprehensive of this alteration, and had discussed that if we did it over, we might consider altering the plans to a sprung arch of approximately the same dimensions, as it would improve the stacking space and also be a lot easier to build, while allowing us to hang a swinging door easily to the front, rather than a door that must be re-stacked every time we fire. It would not have that iconic Manabigama look to it though, something like a prairie schooner or a classic red hip-roofed barn, a very American image. As we stacked the walls, we were very careful to keep each course of bricks level, and tightly stacked against the form. Every once in a while, I would try to “look into the future” by stacking a combination of bricks to get the arch figured out. I was amazed by how many variations we went through strictly based on the mortar height issue. As we approached the top, we discovered that my side was slightly off plumb, and so Todd put his wood floor polishing experience to use and used the angle grinder to correct the shape. FYI, a masonry disc just eats through firebrick, good to know. Once the walls were built up to their last course, we cut a couple end caps and put down some plastic. The arch form, bricks, and end caps form a mold for the keystone. The keystone is made out of a castable refractory material, basically a super-high temp concrete. Once cured, this keystone is what makes the arch work. Downward gravitational force is distributed outward and then downward through the shape of the arch. Once the key has cured, the process of removing the form is done carefully and methodically. It must be dropped down slowly and then pulled out straight and level so it does not jostle or push into the arch at any point. We stacked some bricks and ran a plank, which was carefully leveled with shims, to slide the form out upon. Stay tuned for the next segment, the completion of the kiln! 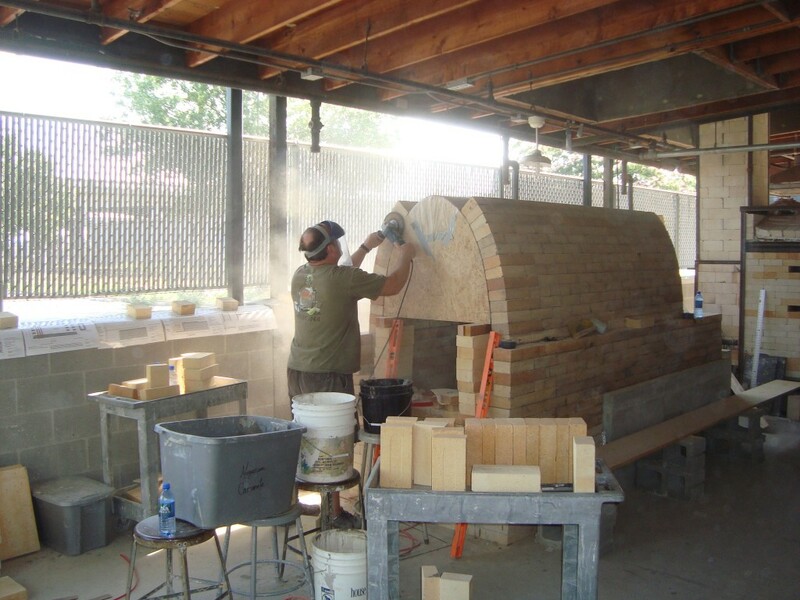 It is really interesting seeing the step by step construction of your kiln. 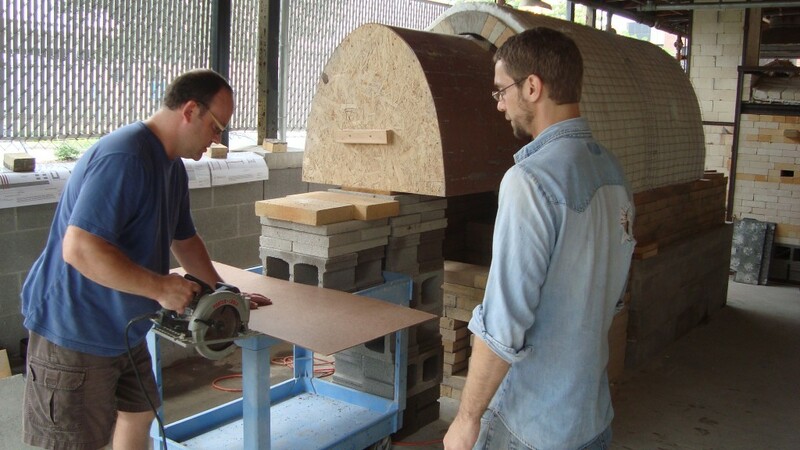 I have read about the type of kiln that you are building elsewhere and have it in mind that I might have a go building one some time, so this is really helpful. Many thanks for your good photos and useful information. You are doing a superb job. I’m currently building a Manabigama. I’m just about finished with my arch. I decided to use the layout for the arch that is in the CD that comes with the plans, using a dipping slurry for bonding. I stuck with that layout. It’ll be interesting to see what it looks like from the inside. Looks like you did a great job on the arch. 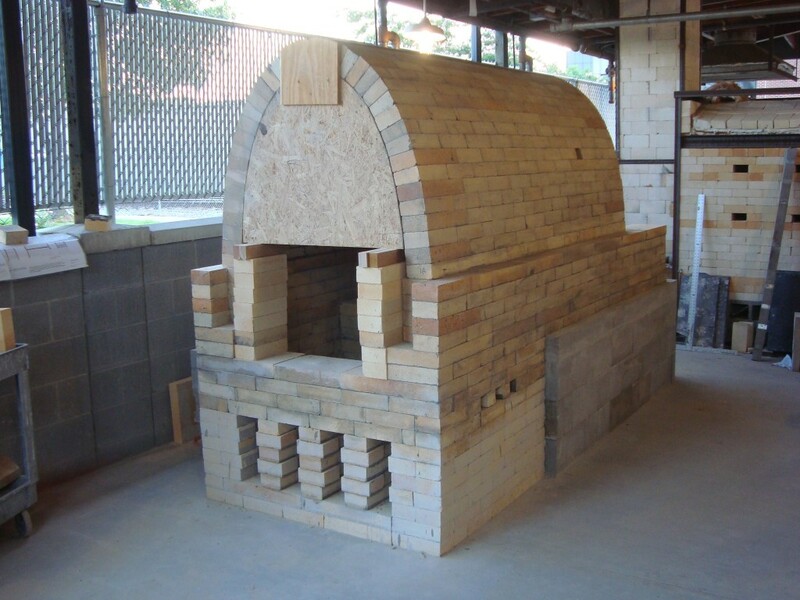 Do you have plans fot this kiln? I may be interested in bulding one. 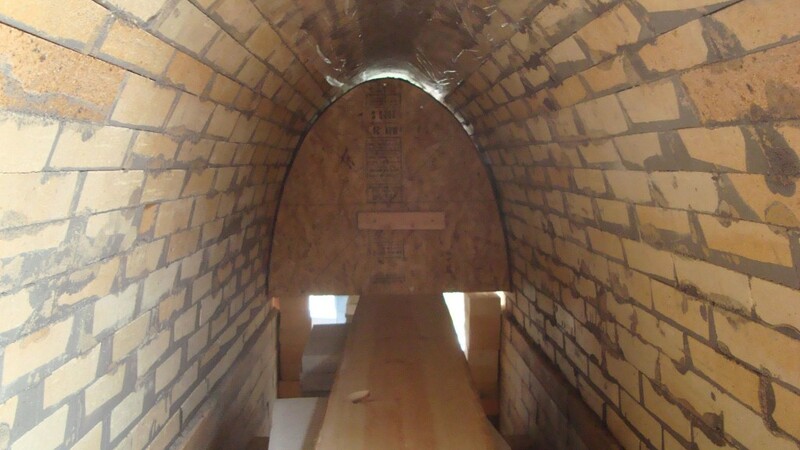 I am Harlan, KY —— KCTCS and would like to build this kiln at because college doesn’t have the money or place for it. Does the DVD have a material list if not do you have.